After the downpour yesterday, it was lovely to walk up at Mugdock with the sun shining again! Great walks today with all my usual suspects. Don’t you just love this photo? 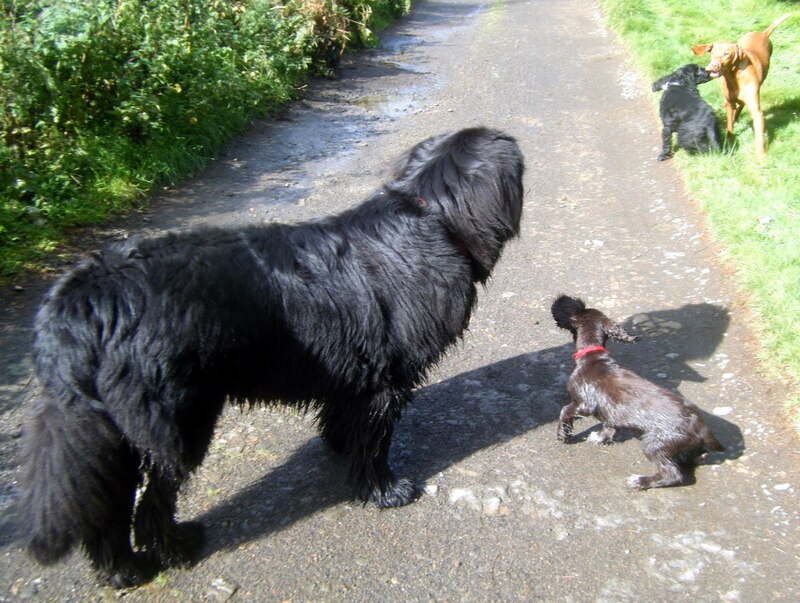 Big Monty (the Newfoundland) watches the carry-on of Ivy & Murphy fighting over a stick, obviously keeping a watchful eye that it doesn’t get too out of hand. If it does, Monty will separate them by standing in between them – lovely for me! Also look at wee Buddy next to him – Little & Large does come to mind!